The Australian Cattle Dog (also known as Heelers) are alert, curious, and pleasant dogs, but need a job to remain happy. The Australian Cattle Dog is a very high-energy dog as well as an extremely intelligent one. Many owners train their dogs for work or performance events—herding (cattle, sheep, or ducks), agility, tracking, rally and obedience. Find an activity that provides an outlet for physical and mental energy. 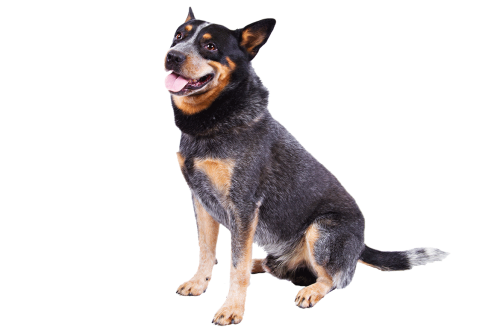 Mental exercise and training is good for both the Australian Cattle Dog and its owner.